Roy Grizzle, age 79, of Jasper, Georgia passed away Thursday, April 4, 2019. He was born March 23, 1940 to George Washington and Noma Grizzle in McCaysville, Georgia. 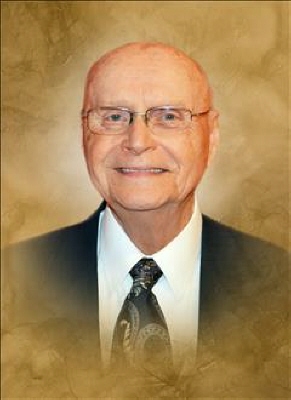 He is survived by his wife of 61 years, Lillian Grizzle of Jasper; daughters and son-in-law, Ronda and Dan Mosley of Jasper, Vickie Painter of Jasper; son, Tony Grizzle of Jasper; grandchildren, Chase and Kaylea Mosley of Jasper, Nathan and Megan Painter of Jasper; great-grandchildren, Hudson Mosley, Kaden Painter, Khole Adkins; brother and sister-in-law, Carl and Shirley Grizzle of Talking Rock. Several nieces, nephews and other relatives also survive. He was preceded in death by his parents, George Washington and Noma Grizzle; sisters, Hazel G. Rayburn and Emma G. Fowler. Funeral Services will be held 2:00 p.m., Sunday, April 7, 2019 at the Chapel of Roper Funeral Home with Reverend Lamar Cantrell officiating. Interment will follow in the Pleasant Valley Church Cemetery: Yukon Road, Talking Rock, Georgia 30175. Serving as pallbearers are Chase Mosley, Nathan Painter, Terry Fowler, Barry Fowler, Joe Fowler, Robby Mathis; honorary pallbearers are Jerry Millsaps and Arthel Davis. The family will be receiving friends at Roper Funeral Home Saturday, April 6, 2019 from 3:00 p.m. until 9:00 p.m. and Sunday, April 7, 2019 from 9:00 a.m. until the funeral hour. To send flowers or a remembrance gift to the family of Roy George Grizzle, please visit our Tribute Store. "Email Address" would like to share the life celebration of Roy George Grizzle. Click on the "link" to go to share a favorite memory or leave a condolence message for the family.